“Let them eat Catan” Mary Something or other once said… or maybe i have things wrong here…. 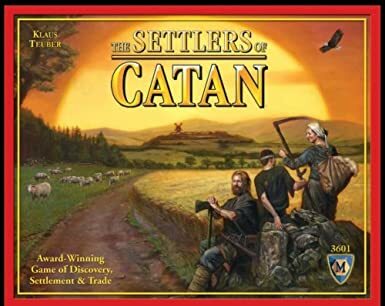 I love the game The Settlers of Catan But never before have I thought about EATING the game! Chris and Rachael Oseland (Kitchen Overlord! Love the name) are not only apparently working on a Settlers Cookbook! But have also shown a great bit of ingenuity in putting together a breakfast buffet in the shape of the board, with hexagon shaped lab trays… i don’t want to ruin the post, so head on over to Kitchen Overlord to check out the rest of the goody filled trays! Now I know what to do for the next big game night throw-down. Except we will be putting the actual number of resources in each dish and when you build something… then and only then can you snack. mainly because we get a little confused as it is. Finally some games have caused actual marital problems. So we tend to tread lightly on new variants and arguments, all in good fun though. So what say you? Battle Snacks? Settlers of the Noms: Breakfast O Rama | Kitchen Overlord.